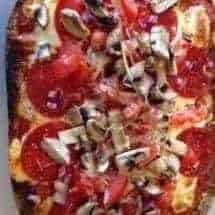 Stupid simple Low Carb Pizza recipe that you can customize to your liking. The easiest way to make low carb pizza is to start out with low carb flatbread, such as Flatout(r) or a different low carb bread. Then, you layer on whatever you want, and hey presto! Low carb Pizza! I’ve been craving pizza for days. We used to get pizza once a week and although we got the “healthy” kind (thin crust, veggies, with half the cheese), it still wasn’t that good for us. I’ve been thinking about how to recreate this and although I’ve seen lots of cauliflower crust, meat crust, ground chicken crust etc. 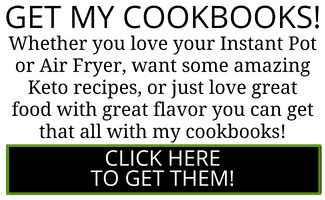 recipes, they seemed a bit contrived. So I tried this with Flatout bread and it actually worked out very well. The nice thing about individual serving pizzas is that I was able to make one with just pepperoni and cheese for my son at the same time. 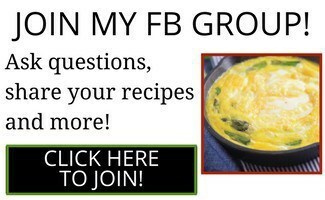 USE THE SAME PRINCIPLE TO MAKE THIS DELICIOUS GREEK PIZZA RECIPE USING LEFTOVERS FROM MY DONER KABAB GYRO MEAT RECIPE!. 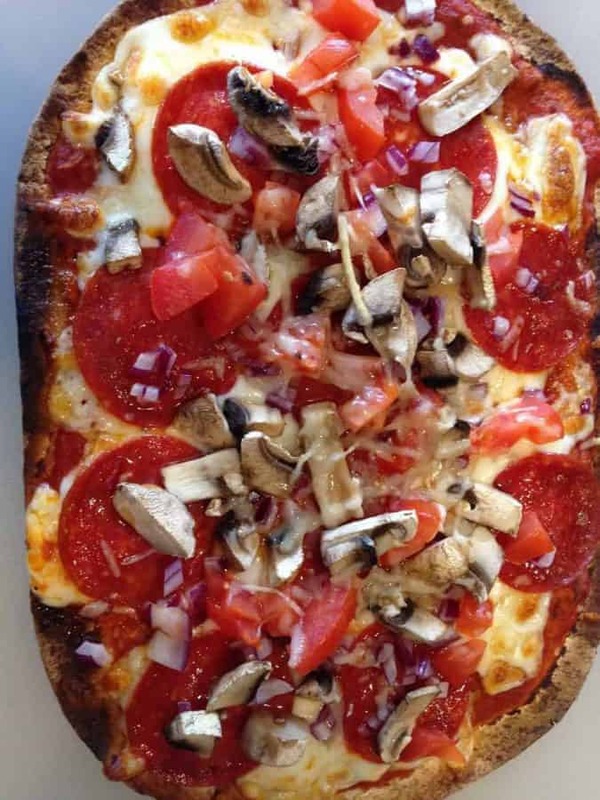 This is a stupid simple Low Carb Pizza recipe that you can customize to your liking! All the delicious flavor of pizza without all the carbs! Place flatout bread directly onto the rack. 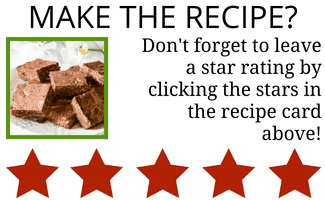 Do not put on a cookie sheet. Cook for 5 minutes. It will be fairly crisp by this point. Remove from oven, spread sauce and cheese, and spread toppings. Cut into pieces and serve. I was only able to eat 1/2 of one. This looks delicious & there are so many yummy combos that would work. Thanks!